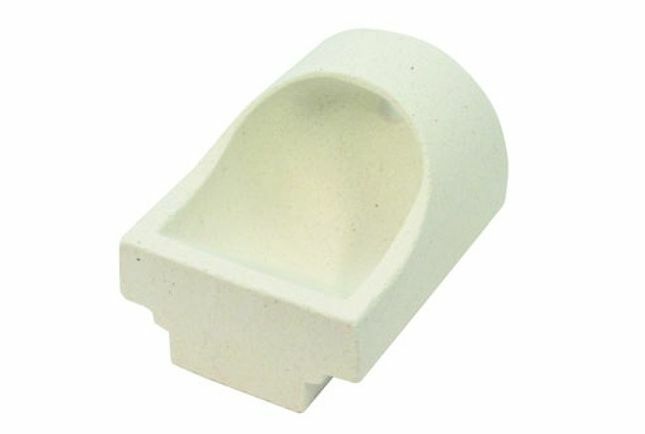 Wesgo Crucible Large A Crucible For Large Machines Capacity: 13 oz / 368 g | QTE North America, Inc. HINT: To provide for a minimum of oxidation in the casting of gold alloys it is recommended that a thin film of borax be melted into the discharge path and orifice prior to making the first melt in this crucible. Subsequent treatments should not be necessary. Always wear goggles and high heat gloves when working with Wesgo Morgan crucibles.